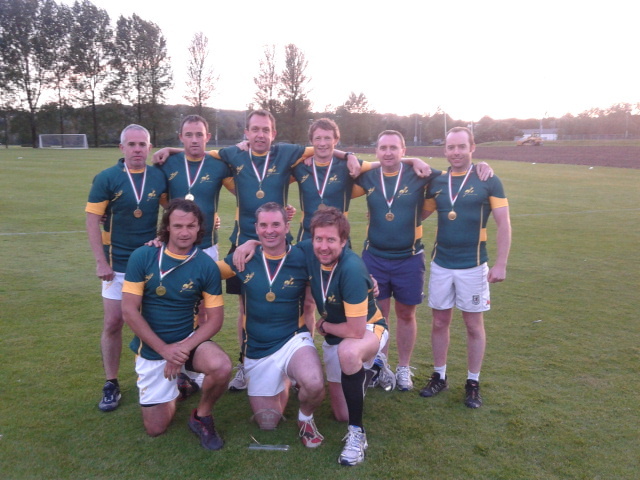 Escargot Turbo take their second title for the season and are in the hunt for a third after winning Ospreys Touch 2012. Escargot took the spoils in the Cwpan Gorllewin Gwyllt in May 2012 at the start of the season and are now looking to do the treble with a win in the newly announced Wales Champions League on Sunday 19th August at Ysgol Y Strade, Llanelli. The Ospreys League culminated in a Cup and Plate competition with Escargot beating Swansea Health Solutions 5 scores 1 and Hairsprays victorious over Wolfpack 4 – 3 in an exciting finals night. Well done to everyone involved and we look forward to seeing how the top four Ospreys teams fare in the inaugural Wales Champions League! Cafodd y cofnod yma ei bostio yn Ospreys Touch, Touch in the Wild West, Touch in Wales / Cyffwrdd yng Nghymru, Wales a'i dagio gyda Ospreys Touch. Cadw nod o'r ddolen barhaol.